Café-gallery-theater at one go. August. 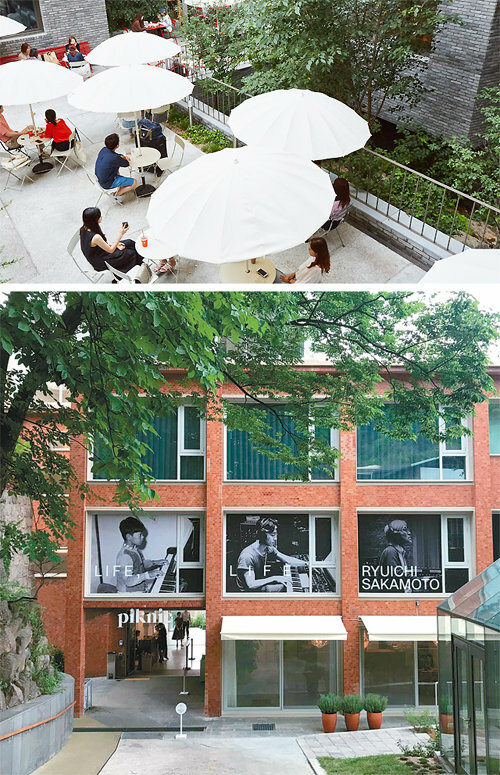 11, 2018 07:16. .
JOH, a design and consulting firm founded by KaKao Co-CEO Jo Su-yong, created the space this April, with five building units featuring life styles and cultures that the company promotes. Most stores on the first and second floors are dedicated to JOH-run brands. “Still Books” occupies four floors, where popular authors and other famous figures are invited to provide lectures to the public. The central garden, serving as a front yard, will be a venue for performances in a variety of genres.